The Four Freshmen is a multiple Grammy-nominated American male vocal band quartet that blends open-harmony jazz arrangements with the big band vocal group sounds of The Modernaires (Glenn Miller), The Pied Pipers (Tommy Dorsey), and The Mel-Tones (Artie Shaw), founded in the barbershop tradition. 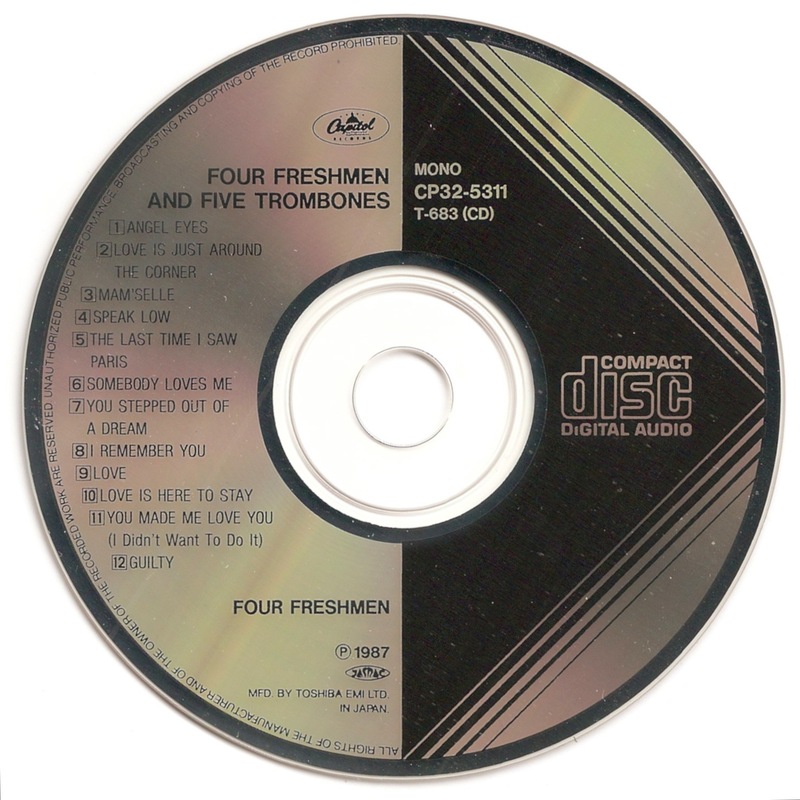 The Four Freshmen is considered a vocal band because the singers accompany themselves on guitar, trumpet, bass, and drums, among other instrumental configurations. 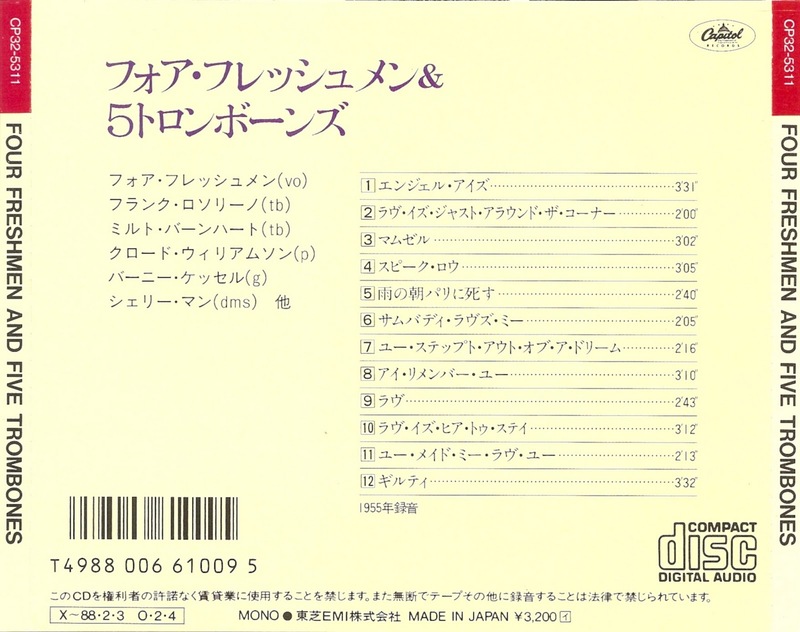 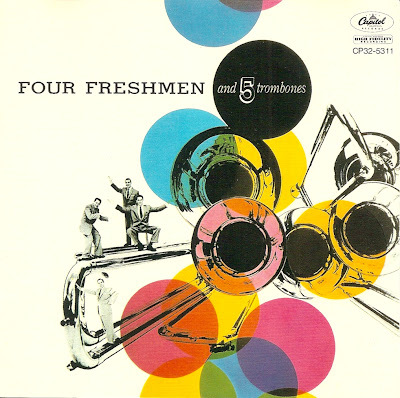 Four Freshmen and Five Trombones is a 1955 album by The Four Freshmen.